For those of you unfamiliar with Astro City, you’ve been missing something really great. For those of you who are, bear with me. Named for the city it’s based on, the comic has always focused on the superheroes and regular everyday people who live in and around it. The stories have been told by the everyday average citizen and the city’s villains as well as the superheroes themselves. The brain-child of creator/wtiter, Kurt Busiek , this title has been around since the mid nineties when published by Image Comics. It has been put out over the years by several other publishers until landing at DC Comics Vertigo Imprint in 2013. Vertigo is a more mature lineup of comics. Think of it as the R-rated imprint of comics with mature themes and stories. 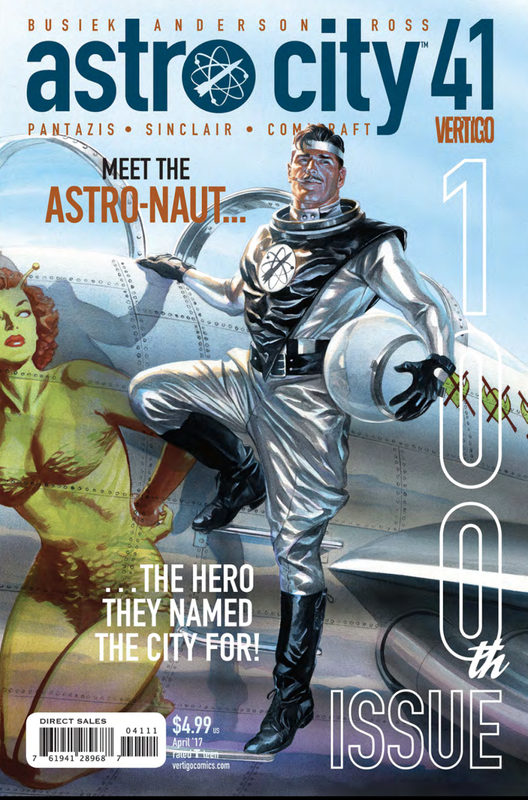 Under Vertigo, its issue 41 but 100 overall, throughout all past publishers. Issue #100 is a big double-size to commemorate this milestone. 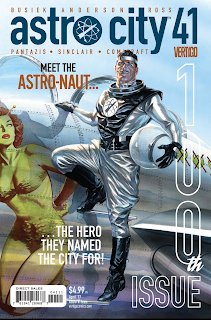 Many titles never reach their 100th issue, so it says a lot about Astro City way before you even crack open the book. The story here is told by city councilman, Joseph Greenwald , beginning in 1936, when Astro City was known as Romeyn Falls. The city is gripped in the midst of the Great Depression and war is looming in Europe. Crime is on the rise especially with the absence of Air Ace, the city’s most famous crime fighter. Now, the city’s leaders are looking for answers but not in the form of costumed heroes...but of more police. The remaining vigilante heroes are not looked on fondly. Joe Greenwald is optimistic however that these “super” heroes could be the key to saving Romeyn Falls from the increasing problem of crime. Enter eccentric millionaire entrepreneur, Roy Virgil. 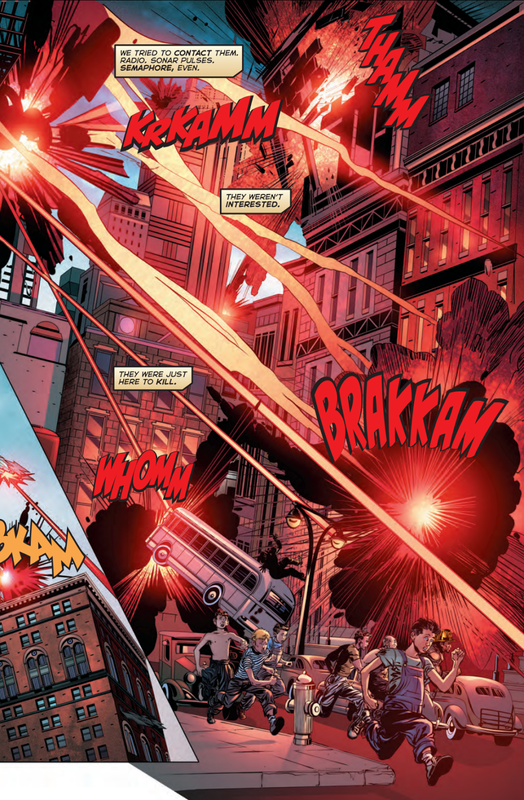 The story isn’t as simple as saving the city from it’s criminals. 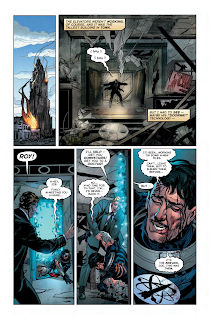 As Roy Virgil/The Astro-naut takes on his new responsibilty, his technology increases and new dangers arise…not just from Hitler and the Third Reich…but one than threatens the entire world. 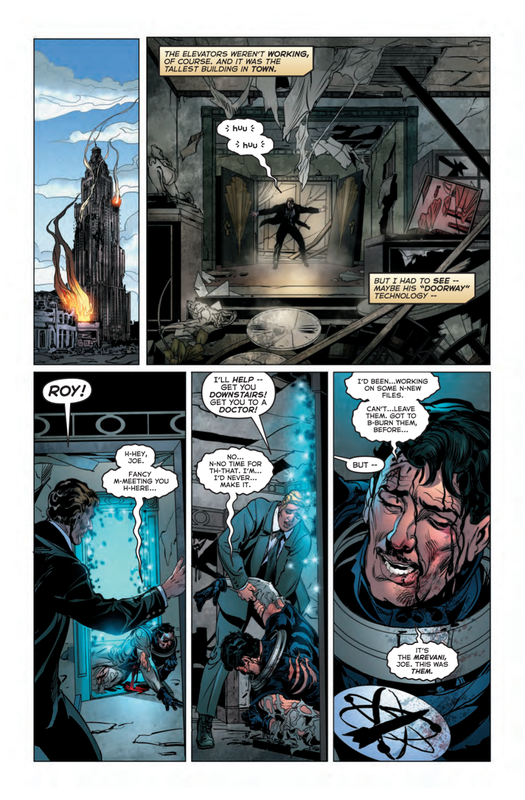 Thus, the burden of knowledge falls on Joseph Greenwald when Roy is criticized for not using his tech to help defeat Hitler. Joe, a rising politician is then torn between betraying his friend and assisting the government he has worked for so hard. These are the types of stories that really immerse us into the story…ones that the reader can relate to. What will Joe do? The Verdict: What can I say? This is just a great comic all around. The stories are always fresh due to the different points of storytelling and can really examine the human condition when effected by super powered beings and the triumphs and hazards that come with it. It’s way more than Mary Jane fretting over how will she run Stark Industries while managing her supermodel career (Sorry for the dis!). Issue 100 is worth the read, even if you’re not familiar with this title since it takes you back to how the city derived it’s name. 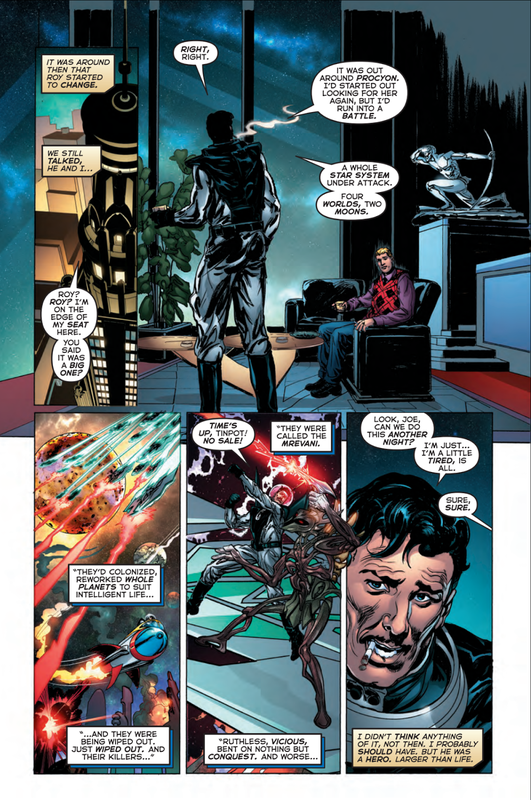 If you’ve enjoyed titles such as DC’s The Golden Age, The Watchmen or even Howard Chaykin’s Satellite Sam, you won’t be disappointed. If you want mature storylines and mature themes, give Astro City a try.